You’re invited to the ultimate family date night! With skyline views of the beautiful city of Lexington, dance floors and silent disco headphones, you’ll start the weekend off right. 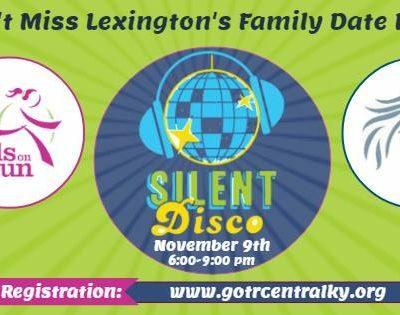 Bring the whole family to this all-ages Silent Disco Party benefiting Girls on the Run Central Kentucky and say goodbye to the days of screaming to be heard over the music. 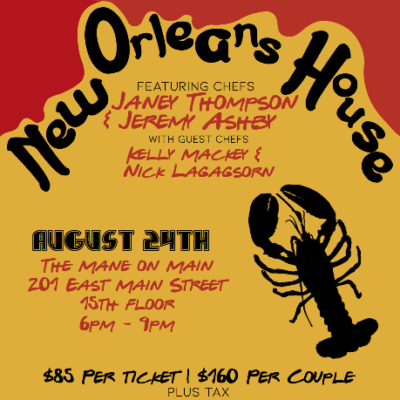 Not only will there be three channels of family-friendly music, but we’ll offer dinner to please the young and old, a craft station and Silent Auction. With three live DJs playing your favorite hits, this party has something for everyone. The Silent Disco atmosphere is very conducive to holding a conversation with your friends and family! There is no booming music to scream over. Simply slide the silent disco headphones partially or completely off and chat freely. And while you’ve got your silent disco headphones off, take a moment to observe the crowd. You’ll get a kick out of hearing what the dance floor sounds like without music.